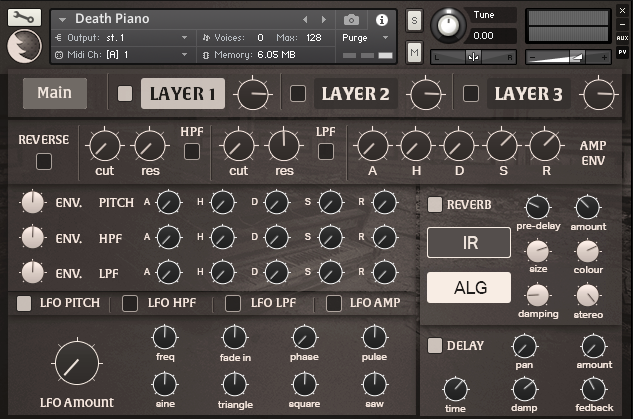 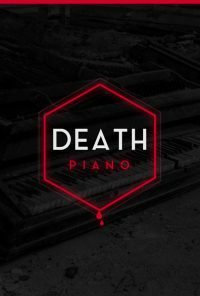 Death Piano LE is the Lite Edition of Death Piano, an alternative take on Piano Sample Libraries that celebrates the obscure. Full of reverse samples, lo-fi gritty goodness, synthesis shaped tones, morphed massacred sounds and more. 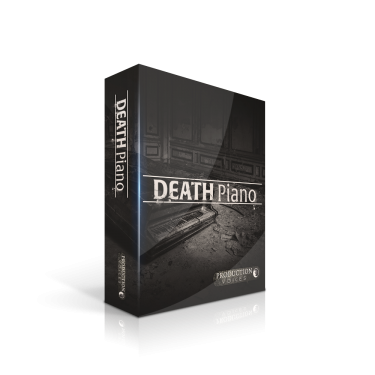 Designed for Kontakt 5, Death Piano LE contains the first few presets from the larger Death Piano and is a collection of piano oddities that is sure to inspire film composers, pianists, songwriters, producers and more. To cover our modest hosting and development costs, Death Piano LE is available as a “Pay What You Want” model. Any Death Piano LE payment of $10 or more can be credited towards the full Death Piano library that contains an extended sample set and over 128 presets. 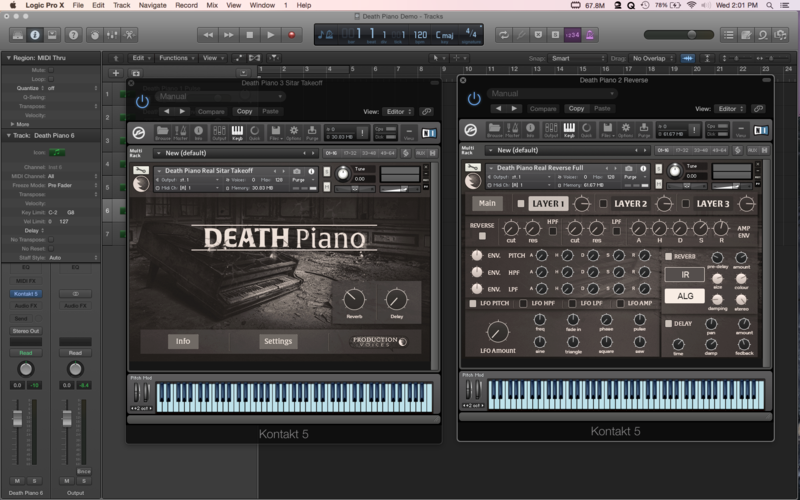 The following demos were created with the larger Death Piano library. 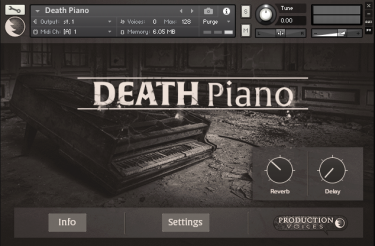 The interface is identical to Death Piano LE, but the samples and presets are greater. Note: Compatible with the full version of Kontakt 5 only. Not for use with Kontakt Player.